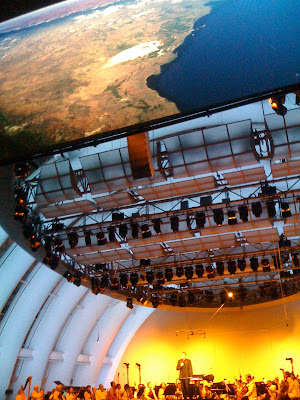 last name taylor: planet earth live @ the hollywood bowl with my dad! planet earth live @ the hollywood bowl with my dad! My Dad & I just witnessed spectacular footage from the celebrated BBC television series Planet Earth shown in stunning high-definition on the Bowl’s big screen, accompanied by the Los Angeles Philharmonic under the baton of the series’ award-winning composer, George Fenton. Together they took us on an epic journey through the earth’s most amazing environments, featuring some of nature’s most mysterious and beautiful creatures. I just stole that from the hollywood bowl website, I don't talk like that usually! Planet Earth is my FAV! !